The drone uses sonar to measure its altitude and keeps itself stable with the help of a tiny extra camera to monitor its surroundings for signs of jitter. It is also equipped with gyroscopes, barometers and geomagnetic sensors that help it navigate as it flies. 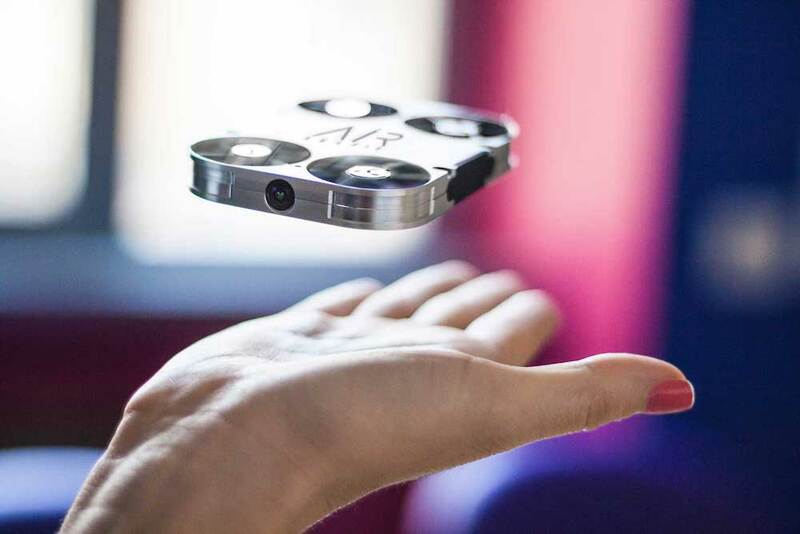 The AirSelfie is controlled via a free iOS or Android app. It uses Wi-Fi to send photos and videos wirelessly to smartphones. The app also allows users to post photos and videos taken with the drone immediately on social media.